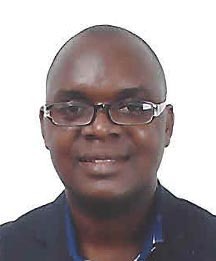 He is the (operations/Marketing) holds Bsc-(Accounting with Information Systems) with over ten years increasing responsibilities and experience in the services industry. Areas responsibilities include projects and operations management. He worked with S.I.C, Procredit Savings & Loans, Allure Africa, C.E.M etc. 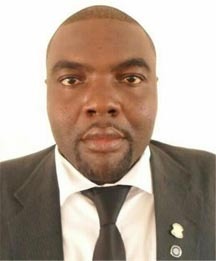 He has a Diploma in Programming and Information Systems from the West African Computer Science Inst. Enrolled in a C.A (Inter) programme and currently pursuing a course in Project and Strategic Management David comes with a well-balanced experience in IT and marketing having served considerably in reputable firms like EquipXP a Leader in Export Transactions / Operations in Heavy Construction and Mining equipment as Operations Manager for Ghana and West Africa ,Coca-Cola Ghana as an IT Co-Ordinator, U.T Holdings and Cross and Carling BV .He also served as a Corporate Instructor in IT based applications with A.P Systems and his hands on approach to work and unwavering disposition easily attracts customers to the stable. He is the Branch Manager of Takoradi Branch. A very dynamic individual and highly skilled. 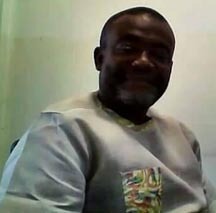 He had Am his secondary education at St. Augustine's College and attended University of Cape Coast, where he obtained a Bachelor of Science in Management with a second class honors. He recently graduated with a Master of Science degree in Development Finance at the University of Ghana Business School majoring in Corporate Finance, SME Finance and Project Management. He also holds a professional certificate in Systems Accounting from Sage Pastel, South Africa He started his career at Social Security and National Insurance Trust as a contract staff from 2010-2011, joined SCG consulting (Multisoft), an accounting and auditing firm from 2012 to 2013 and later moved to Sandpark Properties, a subsidiary of Delico Properties, S.A., as the systems account officer in 2013. He joined Welcome2Africa, an investment firm based in Uk, as the conference event coordinator for their maiden Agrique Africa Summit, 2015 held in Ghana. 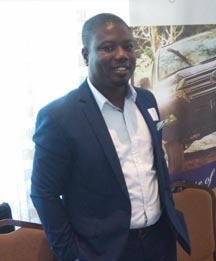 He is currently the Branch Manager for ATLAS car rentals, Takoradi. His area of expertise spans from Pensions Compliance and Management , Accounting Software Implementation and Support ,Corporate Financing, Corporate Training, Real Estates, Projects and Events Management, and Fleet Management.